It looks like a finder window with a lot of glitter, but is in reality a database with some AI functionality. This allows it — among others — to identify identical or similar documents based on content, get more detailed information about the files, tag them and much more. I wondered whether Mavericks’ Finder can actually replace DEVONthink. The problem here is that DEVONthink is a very powerful, but not intuitive piece of software. Like a wiki, to work it requires a thinking user who makes it work for him/her based on his/her unique needs. So keep in mind that the following comparison might not apply to all users. Apparently there is no way to do hierarchical tagging in Mavericks. This is a problem if you have a lot of tags that are logically separate from each other. For example, imagine that you are working in science and love to photograph. The tags from these two areas are probably pretty distinct. While you can use prefixes like sci_TAGNAME or photo_TAGNAME, it is inconvenient. Not only for the tag names, but also requiring a lot of scrolling until you find the “section” you need. 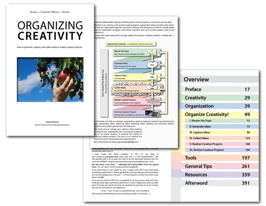 In DEVONthink I have hierarchical tags that denote different categories like topic, source, context, project, status, type, objects (of the study), my_evaluation, and so on. This makes tagging much easier than an endless list of tags with prefixes. I strongly recommend getting the Pro version of DEVONthink that allows for multiple databases (and I strongly encourage DEVONthink to ditch this distribution model of the past and offer only that one version). Different databases are just super-helpful if you use your Mac for more than one purpose. For example, I use my Mac for work and for private projects. It’s my own device I use at work, mostly because I want to retain control of my data and I refuse to carry two notebooks around. But some private projects are not suitable for work. And the last thing I want is having some ideas or photos appear on my screen during a professional context. Not because it would be embarrassing for me — I love what I do and what I photograph, create, or simply do. But it would appear unprofessional and it would lead to unnecessary complications. Athanassoulis, N. (2002). The role of consent in sado-masochistic practices. Res Publica, 8(2), 141–155. fits perfectly with my interests in research ethics (interesting paper, BTW, a lot to think about regarding consent). But other more instructional like books … that would be quite a stretch. But separated in different databases this is a non-issue. I don’t use my private databases at work (now, if I could only manage not to use my work databases in my private life while having a job, that would be nice ;-)). Given that I have disabled Spotlight for my databases (why use the system-wide dummy search if you have a much, much more powerful search in DEVONthink?) my private ideas, photos and whatever don’t even show up when I (or someone else) uses my computer. I don’t see how this is possible with Mavericks alone. You would have all your tags below each other and — depending on the tagging — have your private and professional files mixed. Of course you can use search and then save the search as smart folders. Sure, there’s the advantage that you might make serendipitous connections by using the same tags for elements of completely separate categories. It might get you some ideas. But personally, when I am looking for images, I want to look only for images, when I am looking for articles, I want to look only for articles. And while you can use the search window in Finder to limit the tags to a certain file ending (e.g., jpg or pdf) it is inconvenient. Syncing is an ofter misunderstood and underestimated functionality. It’s not a replacement for backups! Corrupted files will sync as well, and if you delete files, this “delete” is likely to be synced as well. But syncing is incredibly powerful if you are on the move a lot and use different devices. It just treats devices as one — change information on one device, it gets changes on all devices. But delete or break information on one device, there goes your work as well. DEVONthink’s syncing functionality is not the best as it is not encrypted. You are essentially sending all your private or work related data on postcards through the office mail. But at least it’s there and it’s easily usable. You just replicate (think of it as making aliases, the only difference is that there is no original and no link, they are both the same single file) the files you need into the sync group. That might sounds tedious, but groups (folders) you replicate are synced with all their contents and the main advantage is that it allows you to create a different structure on your mobile device to which the files are synced. If you want the whole database be synced, just replicate the top level folders/groups into the sync folder/group. Want a different structure? 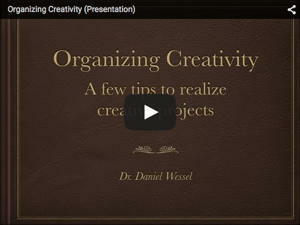 Select the folders/groups or individual files and create it. You can even create new folders/groups unique to the sync folder/group. Sure, there is Dropbox and the like, but that requires you to have the files in the dropbox folder or work with aliases (if this works, never tired it). DEVONthink offers you much more fine grained control of your data. One nice advantage if you disable Spotlight for your databases is that you can use separate databases for archival purposes. Want to ‘get rid’ of something but not really delete it? Put it into such a database. For example, I have a database called “Deep Archive – Mails” which contains my eMails from 2006 to the last time I reinstalled my primary Notebook (yesterday). DEVONthink can easily import eMails from Mac’s Mail (okay, 3700 eMails — not even the whole year — takes a while) so it’s uniquely suited as a long-term backup. Yup, even if DEVONthink is no longer available, the fact that it stores the contents in a folder structure makes them accessible even without the program. Inconvenient, yes, but possible — probably in contrast to only storage methods deciding to cash in on their customers. Not sure how this would be possible with Mavericks alone. There are a lot of additional features in DEVONthink that I cannot go into here. But, personally, I don’t think that DEVONthink has anything to fear from Mavericks new functions. The main enemy of DEVONthink is DEVONthink itself. It’s a bit like this quotation in the beginning of the posting. It’s hard to see its strengths — it’s a bit to hard to understand to be easily adoptable. But once you get to use it, you don’t want to miss it for the world. So, looking at the way I use DEVONthink, Mavericks Finder is no replacement. For me, it’s the lack of control of contexts for tags and the fine-grained control of syncing to my mobile devices (iPhone and iPad) that discourages me from using Mavericks’ Finder functionality as a replacement for DEVONthink. And I hope that the Finder never tries to compete with DEVONthink, because the Finder should be simple, easy to use and fast — to select the files and programs that allow you the degree of control you require to do your work — whether it’s professional, private, or both. 6 Comments on Can Mavericks’ Finder Replace DEVONthink? 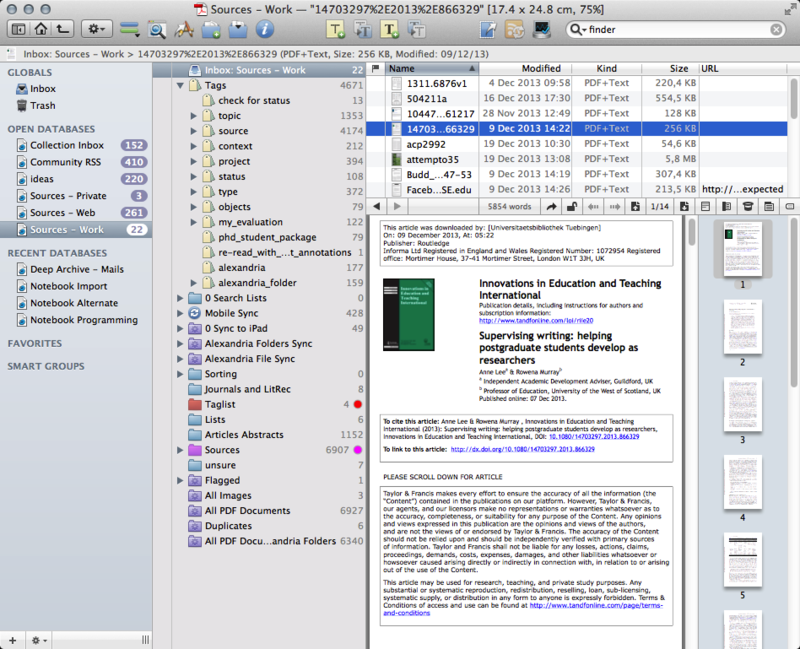 Do you place all your work/PhD related documents inside Devnonthink database or do you store them inside Finder? 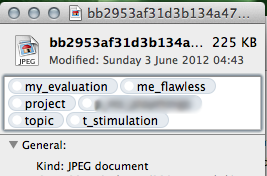 Strictly speaking, I place them in DEVONthink, which then in turn is inside Finder. But yup, with the exception of my Circus Ponies Notebooks, all my work is in DEVONthink databases. I also added the things I am currently working on (e.g., data collection, writing) to the sync folder — it get’s synched on my mobiles devices and gives me a little more redundancy (careful with personal data). Regarding non-work data, Videos, Music and the like are also outside DEVONthink (music makes more sense in iTunes and movies are usually on external harddrives and only temporarily on my computer). Are there any updated Ideas of you now now Ost High Sierra on this issue? I am struggling a lot with these tags issue, also because I cannot make my tags synch with my MAC and my iPad through Dropbox or Files. To be honest I don’t want to stick with Devonthink for that reason. I would like to do it all in the Finder and hope it will get more and more developed. Nothing new on my end — frankly, I rarely use tags, I’m more a fan of folders. The most I use tags are for non-fiction literature (papers, books and the like), and given I have it all in DEVONthink and the tags work very well, I’m going to stick with DEVONthink. Especially given the USB cable database sync works brilliantly with my iPad. I have been using DTPro for a few weeks and am still unsure whether to delete all my Files/Documents etc from Apple Finder and have them just in DTPro. Would I be correct in saying that having them in both locations would be a complete duplication? Is it OK to use DTPro as a replacement for the Finder on my MacBook? As long as you actually copy your files, yes. IIRC there is also the option to just use links to the files, but that isn’t the default, IIRC. 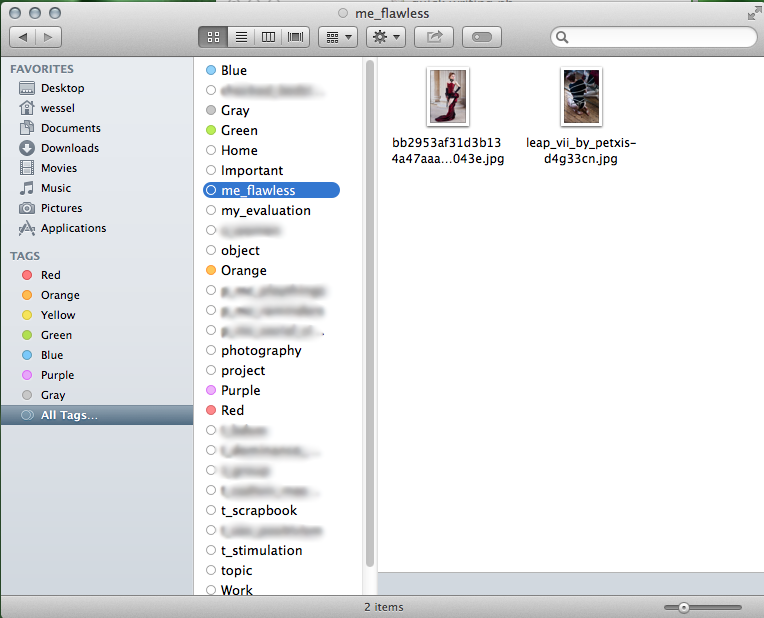 And yup, I use DEVONthink as replacement for the Finder. If I want the files back, I can just drag them out of DT.